Fostering Innovative and Socially Engaged Research The A/PIA program at U of M is dedicated to fostering innovative and socially-engaged faculty and student research in the fields of Asian American and Pacific Islander studies. Transforming Knowledge The A/PIA program aims to transform the production of critical knowledge through research, teaching, programming, and advocacy. Creating New Paradigms Through both teaching and programming, we create new paradigms for acknowledging and appreciating the contributions of A/PIA diversity on campus and beyond. 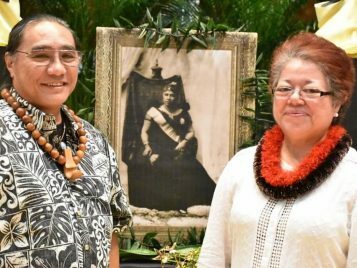 Professor Amy Stillman, headliner at the Smithsonian NAMI event, Honoring Queen Liliʻuokalani! 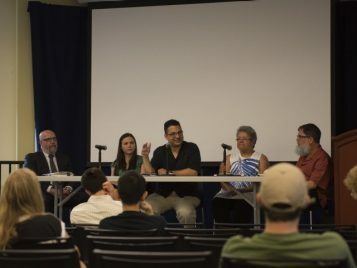 A/PIA Director, John Kuwada, remarks on success of The Slants Panel Discussion! Established in 1989, the Asian/Pacific Islander American (A/PIA) Studies program is one of four ethnic studies programs housed within the Department of American Culture. A/PIA offers interdisciplinary graduate and undergraduate courses focusing on the Asian American and Pacific Islander American experience. Our program also serves as a focal point for University research and teaching on Asian/Pacific Islander Americans, and our faculty provide resources for understanding A/PIA concerns and issues. We strive to support our students and faculty on the frontlines of learning and research; to steward our planet, our community, our campus. To do this, American Culture needs you—because the world needs Victors.